In 2017, more than 90% of the US population had some form of health insurance coverage. The majority of insured Americans have health insurance benefits through their employer. But the benefits of those plans don't always cover everything you or your family needs from health insurance. The good news is, there are many different types of health insurance to choose from. You can supplement what you're currently getting with the services of other top health insurance companies. 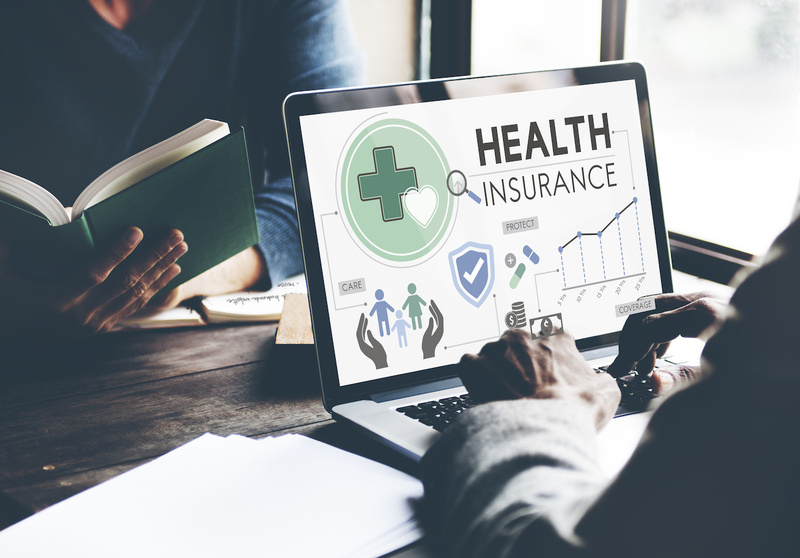 Keep reading to learn more about the types of health insurance and whether it's worth adding to your coverage. Most Americans have health insurance coverage from a group plan offered by their employer. These are usually the least expensive option because employers pay a portion of your premium. Other options for health insurance include government insurance exchanges or the marketplace. The federal marketplace and your state's Affordable Care Act have lower premiums. Private insurers in the market place cost you more because the premiums come out of your pocket. But they offer more flexibility in terms of care. The types of health insurance can be broken down into 2 categories. Metal types relate to your premiums, deductibles, and care costs. Network and plan types relate to your providers and coverage options. We'll discuss both in detail below so you have an easier time choosing a medigap policy. The 4 categories of health insurance plans are Platinum, Gold, Silver, and Bronze. The categories determine how you share the costs of your healthcare with your provider. It's important to remember that the plans aren't associated with quality of care. Regardless of the metal type you choose, you have access to the same quality care. With a Bronze plan, insurance pays 60% and you pay 40%. Although these plans have the lowest monthly premiums of all the metal types, they'll cost you the most when you actually require health care. The deductibles on Bronze plans tend to be quite high and can amount to a lot over the course of a year of routine care. Because routine care will mostly come from your pocket, this is an affordable way to protect yourself from more serious medical needs. A Bronze plan is a good choice for relatively healthy individuals who want to be covered in the case of an emergency or traumatic event. A Silver plan splits insurance costs with you at 70/30. Your monthly premium is moderately more costly than Bronze, but so are your costs when you need treatment or care. Deductibles on Silver plans are lower than those of Bronze as well. While you pay a higher premium, more of your routine healthcare costs are covered than with a Bronze plan. If you need more routine care, a Silver plan is likely a good choice. With a much higher monthly premium comes must lower costs of care. The deductibles on a Gold plan are also much lower. If you want to have more costs covered and are willing to pay more for it, a Gold plan is for you. This is the best choice for individuals who need a lot of medical care. If you require a lot of medical care, a Platinum plan covers the majority of your health care costs. They carry the highest monthly premiums but the lowest costs for health care. The deductible is also very low, so your insurance provider starts covering costs far sooner than the other plans. Network types for health insurance include HMOs, PPOs, EPOs, and POS plans. These terms relate to the doctors you can see as well as how much you pay out of pocket. An HMO plan requires you to stay within your network for coverage. You can go outside your network in emergencies only. Any specialists or procedures will require a referral for coverage. HMO's are a good choice for individuals who want their doctor to organize their care within their network. Your costs are relatively low with an HMO, and your doctor will take care of scheduling tests, coordinating procedures, and setting you up with the right specialists. With a PPO plan, your in-network health coverage is less expensive than out-of-network coverage. But you're allowed to go outside your network for care. A PPO doesn't require referrals for procedures and specialists either. When you want to be able to access many different providers--and without the need for referrals--a PPO may be a good option for you. Like an HMO plan, EPOs require you to stay within your network for care unless there's an emergency. However, you don't have to get referrals for specialists and procedures. The main benefits of an EPO are the lower costs and ability to access care without referrals. You can go outside of your network with a POS but it'll cost you more than staying within your network. And with a POS, you need a referral for any specialists or procedures. A POS gives you access to many options for care providers. At the same time, they give you the benefit of having a primary doctor who coordinates all your medical needs for you. This includes tests and coordination with other specialists. Do You Need Supplemental Healthcare? While the majority of Americans receive health insurance from their employers, these plans don't always cover the unique needs of your health and the health of your family. To tailor your health insurance to your requirements, you should consider supplemental health care. The first step to adding to your healthcare is understanding the types of health insurance. You'll have to choose between a metal rating as well as a network type--both of which affect your degree of coverage as well as your costs. For everything related to your health and more, check out our Health and Beauty page.